People with no credit often have the most difficult time getting approved for a credit card. That's because most credit card issuers require applicants to have some form of credit history, including a credit score, to approve a new credit card application. However, you won't have a credit score until you have at least one active account on your credit report for six months. Some credit card issuers realize that people have trouble getting a credit card for the first time, and they've made credit cards specifically for people with no credit. Following are several ways you can improve your odds of securing your own credit card and getting your credit history started. You must have sufficient income to repay your credit card balance, especially if you’re under age 21. The income you put on your credit card application must be your own: you can’t use the income of your parents, spouse, or other household members to qualify for a credit card unless you have reasonable access to that money. Income limits vary depending on the credit card, but you must make at least enough money to repay your credit card balance each month. The higher your income, the better chance you have at getting approved for a credit card even though you don't have a credit score. A few major credit card issuers have online prequalification that allows you to see if there's a credit card available for your credit profile. These prequalifications are typically soft credit checks, meaning they won’t hurt your credit score or show up on your credit report when someone else checks your report. If you eventually follow through with a credit card application, that hard inquiry will show up on your credit report and has the potential to lower your credit score. Prequalifying for a credit card doesn’t guarantee approval. Other factors such as your income could cause you to be denied for a credit card for which you’ve been prequalified. If you’re denied, you’ll get a letter in the mail that tells you the specific reason why. Use this information in the letter to decide what you want to do next. Capital One and Citi both have online prequalification applications. If you’re a student, you may qualify for a student credit card. These cards are designed for college students who may not have enough income or a credit history. To qualify, you may have to provide proof that you're enrolled in a qualified college or university. Choose carefully. Some student credit cards have high interest rates and lots of fees. Retail store credit card issuers have a reputation for approving credit card applications for people with no credit. You’re more likely to get approval from the "closed-loop cards" that do not have a Visa or MasterCard brand. You won't be able to use the credit card outside that particular store, but it will give you a chance to jump-start your credit history. Beware, though, as retail store credit cards have low credit limits and high interest rates. Keep your balance low and pay it off quickly to avoid racking up a lot of interest. Secured credit cards are the go-to cards for people who can’t get approved for a traditional credit card. Nothing is wrong with having a secured credit card as long as you pick one that reports to the major credit bureaus and has few fees. What distinguishes a secured credit card from other credit cards is that you make a security deposit to get a credit limit. 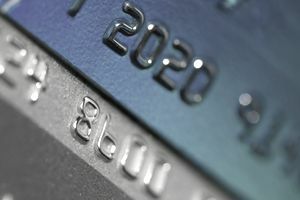 Some secured credit cards come with lots of fees, but a few credit cards keep fees to a minimum. If you don’t have enough money for a security deposit right away, you can spend a few months saving up for the security deposit. The Capital One Secured MasterCard has a minimum security deposit of $49, $99, or $200 for a $200 credit limit. This type of loan works similarly to a secured credit card. You take out a small loan from a bank, and you use the loan funds to purchase from the bank a certificate of deposit (CD). You make payments to the bank over time, and when you pay off the amount, you own the CD. Look at it as a forced savings plan that helps you build credit at the same time. The downsides are that you have to pay interest out of your own pocket for the loan, and you won't have any funds to use for anything else until you pay off the CD. If you can’t get a credit card on your own, you may be able to take advantage of someone else’s good credit. You could get someone with a job and good credit to apply with you, but be aware that getting a credit card with a co-signer has drawbacks. You have another person involved with your finances, watching your purchases, and making sure you pay the credit card. If you’re not responsible with the credit card—if you miss payments or max out the card—the co-signer's credit is also affected. Think carefully before you get a credit card with someone else. Becoming an authorized user on someone else's credit account is a bit similar to using a co-signer, but possibly riskier. Someone who already has a credit card account can request to add you to their account and order an additional, physical credit card for you to use. The danger is that you might be on the hook for the account payments if the account holder suddenly doesn't have the money to pay the account. The person making you an authorized user is taking the risk that you might charge up the card and then skip town, so a large degree of trust is involved in this arrangement on both sides. If you go this route, check with the credit bureaus to make sure that your usage is being reported, and understand that if the primary cardholder doesn't pay the bill on time, you might receive a negative mark on your credit report. If you've had credit in the past and still have open credit accounts but haven't used them in a while, consider making a small purchase and paying it off quickly. Even good credit activity will fall off of your report after 10 years, so you may need to start using any existing credit you have so that you can build up your credit history again to qualify for a new credit account. Don't give up if you don't have any previous credit history. Talk to lenders and ask if they have other ways to qualify you for a credit card. Some lenders will consider payment history from rental or utility records, and you won't know until you ask. Avoid submitting a lot of credit card applications. If you’re turned down for a major credit card, even if it’s a student credit card, don’t keep applying. Instead, look for a store credit card or a secured credit card. Choose these credit cards ahead of time so that you’re not desperately searching for a credit card that will approve you. Watch out for any credit card that guarantees approval without first checking your credit score. There’s probably a catch in the form of high fees or a high interest rate or both. A prepaid card is an alternative to a credit card, but it's only helpful if you don’t have a checking account and debit card. Prepaid cards don’t help you build a credit history. They simply let you make credit-card-like transactions, like paying at the gas pump.